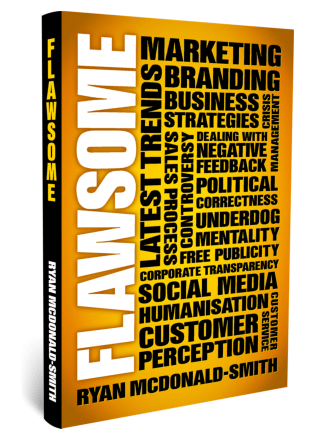 Flawsome is when a company is AWESOME despite, and sometimes because of their flaws. The trend stems from human nature. People have a hard time genuinely connecting with, being close to, or really trusting, others who appear to have no weaknesses or flaws. Due to the rise in social media, people openly broadcast and share their lives online – flaws and all. With that in mind, it’s not hard to see why brands are increasingly expected to do the same. 68% of consumers trust reviews more when they see both good and bad scores and 30% of people suspect censorship or faked reviews if there aren’t any negative comments. 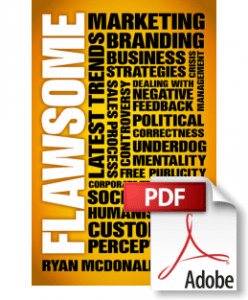 A Flawsome brand is one that doesn’t always appear to be perfect and instead allow its personality to show. 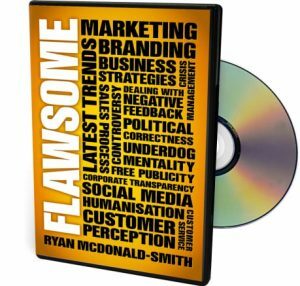 Discover how some of the world’s fastest growing brands are marketing their flaws, and how by being yourself, your business can attract a consumer base of advocates who love what you do, and will begin to spread your message for you.